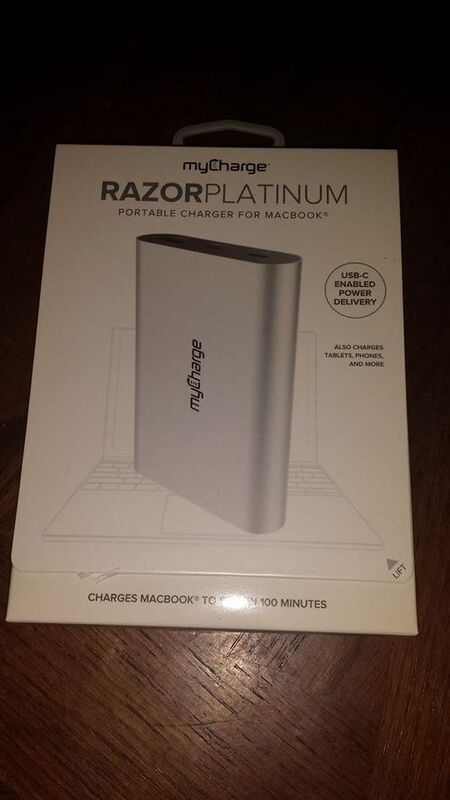 *Disclaimer - I received the product in this post from myCharge in order to facilitate this review for my readers. This post may contain an affiliate link. Are you looking for a quick way to charge your smartphone, tablet, and /or MacBook? Are you looking for a portable charger that will help you in the long run for quickly charging your laptop, phone, tablet, or MacBook? Then, the myCharge Razor Platinum is for you! You can buy it HERE! You can buy it for just $83.23 with FREE shipping! This myCharge can charge a MacBook in just 100 minutes! I have a Samsung Galaxy S4 and it's worked well so far for my phone. I will start taking this when we travel out of town for sure. It'll save me a lot of time for using a wall charger, I know that. This will be a huge lifesaver for those of you needing one, who travel frequently! This would be perfect for travel! I need this in my life. What a cool product! This is actually so handy to have on hand when I travel! All my devices end up losing charge and I can't ever get to an outlet when I need it. Portable chargers are so helpful! Thank god for portable chargers. They are lifesavers when you are on the go. This is handy for us screen junkies. The last thing one needs is to have a battery dying at the most inconvenient moment. Handy for travelers and screen junkies alike. It would be nice for my battery not to die at the most inconvenient of times. I've got a bunch of portable chargers but am not familiar with this one. I'd be interested in knowing how much it weighs. 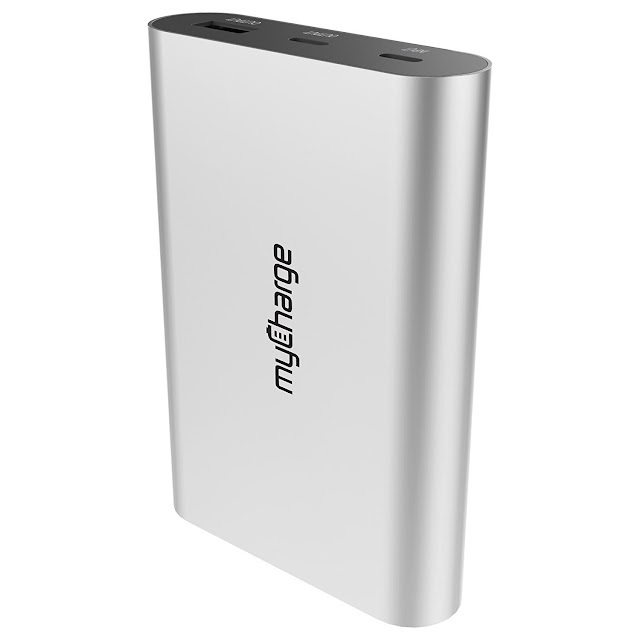 Portable chargers are one of the best ideas I've seen for smartphone owners. I'm curious how quickly this charges your phone?